Often referred to as the heart of Switzerland, the Swiss Alps bring majestic scenery of course, but also an adventurers playground, and whether hiking or world class winter sports, there is something to enjoy every day. The region also offers a taste of history, with historic mountain railways, villages that have changed little in hundreds of years and of course, the incredible backdrop of the mountains themselves to accompany every step of your journey. The Swiss Alps have something for everyone, and we have found the very best places you can stay to enjoy your trip. 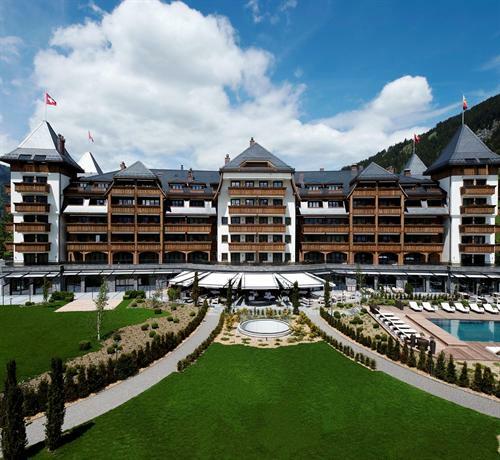 The Swiss Alps are majestic in their beauty, and dominate the views wherever you are in the region, and yet when you approach Badrutt’s Palace Hotel, you can barely look away from the building. Even the mountains themselves seem less impressive, such is the impact of the rising towers and ornate, but very Swiss, detailing. You can see it from several miles away as you descend into St Moritz itself in one of the Rolls-Royce shuttles the hotel provides for guests arriving at either Zurich or Milan airports. 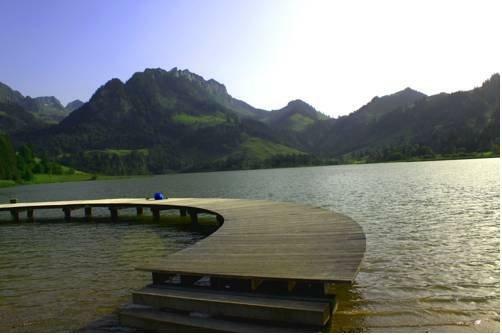 It is an impressive scene, with the hotel overlooking the lake providing many of the rooms simply spectacular views. With 157 rooms and 37 suites, there is a choice of accommodation, but all share an elegant, opulent style with subdued colors and quality materials throughout. Although the hotel’s history stretches back to the 19th century, the rooms themselves are thoroughly modern, featuring USB charging sockets and high speed Wi-Fi to keep your digital life on track. This blend of modern features and classic elegance creates a unique ambience that is enhanced by the service. Here is where Badrutt’s Palace Hotel really shines, the friendly, efficient service is the highlight, with some staff having been at the hotel for decades, and return guests often knowing people by name, it creates an almost family feel to the whole hotel. Like returning to greet old friends. That personal touch is carried through the dining experience too, with a choice of 7 restaurants that offer diverse menus but keep the same high-quality throughout. A spa and pool round out the facilities, and continue the theme of excellent service and exquisite surroundings. A hotel with a difference. If you imagine a castle in the alps, you will think of a grand building, with spires, filigree and grandiose architecture, set in some beautiful location with the majesty of the mountains rising behind it. 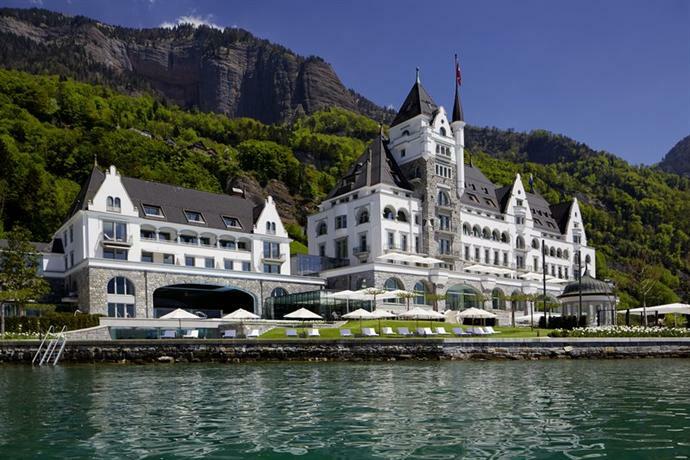 Arriving at the Park Hotel Vitznau is like having that picture come to life, with the white stucco and stone spires rising in front of you as you approach, to one side the lush green of the forest and the mountains behind, to the other the magnificent Lake Lucerne. If the exterior of the hotel is an event, interior is even more impressive, the lobby features a huge window that presents you with stunning views over the lake, while a complimentary glass of champagne is offered as your check-in is dealt with. It sets the scene for the whole experience, and one of the best first impressions I have encountered in any hotel. 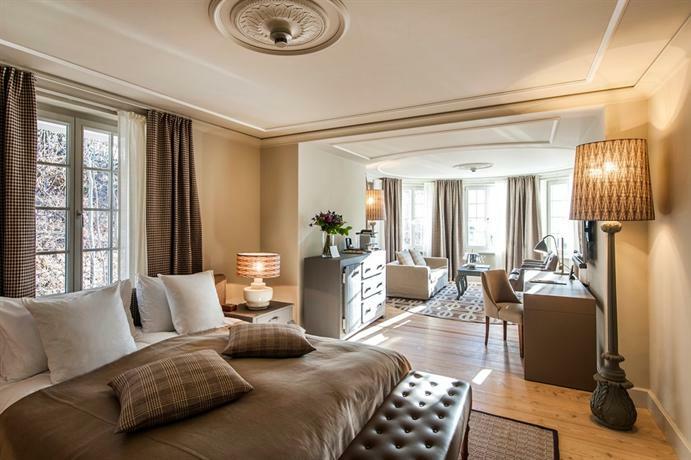 The 47 suites range from roomy to very spacious indeed, décor throughout is classic English style, with period pieces and quality textiles used in abundance. Understated opulence would be the way to describe it all, it really is luxurious to experience, but in a more restrained way than some. This approach seems to fit the surroundings and ambience very well. Food here is simply stunning, featuring not one, but two Michelin starred restaurants, Prisma having one star, while Focus has two. Whichever you choose will not disappoint, both offer a culinary experience to savor, and are a highlight of the hotel. If the views or the activities of the region are not enough, the hotel also features an impressive spa facility, with an infinity pool, a Finnish sauna and an ice grotto in addition to the usual spa offerings. A great place to unwind in a hotel that you will want to return to again and again. 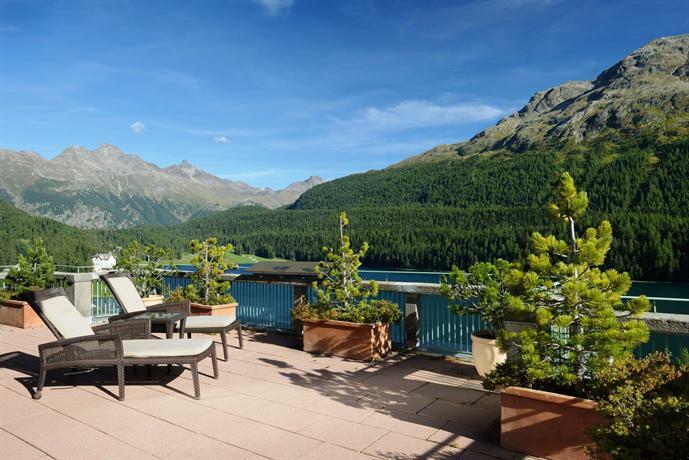 There are few locations in St Moritz that are not impressive, but situated on the north side of Lake St Moritz really is an almost perfect place for a hotel to be. Not only does it ensure spectacular views, but it is also just a few minutes (by complimentary chauffeured Bentley) from the train station, and a quick stroll from the center of town when it’s time to explore. There are sixty suites available, all are spacious and light, with each suite having its own balcony to enjoy those stunning views from. Rooms are presented in a variety of colors, everything is color coded, with bespoke furniture in a contrasting color. If you are presented with a room whose color is not to your liking, they will happily swap you to another more suitable one, which is a nice touch. Marble and leather are prominent, with other high quality materials and lovely touches providing a real sense of occasion throughout the rooms, and Super King-Sized beds ensuring a good night’s sleep. The restaurant is an experience in itself, Michelin starred, it offers an Italian influenced menu that is incredibly special. A second restaurant offers a more relaxed experience, with a live piano player adding a touch of old-time elegance to the dining experience. Nothing about this hotel is every anything less than impressive, a very special place indeed. Enjoying a quiet location that makes the most of the stunning views and placed to catch the sunshine all day, this impressive chalet offers spacious accommodation for even the largest groups. With the ability to sleep 12 in the main chalet and a further 4 in each of the two separate self-contained apartments, it is the perfect accommodation for any group looking to enjoy all that the area has to offer. Ideally placed for winter sports, the ski lifts are just a 3-minute bus ride away, with the stop just outside the door, you can be out the door and on the piste within minutes. It is not just the ski lifts that are in easy reach, the train station is also nearby, and after fresh powder you can ski right back to the chalet itself. 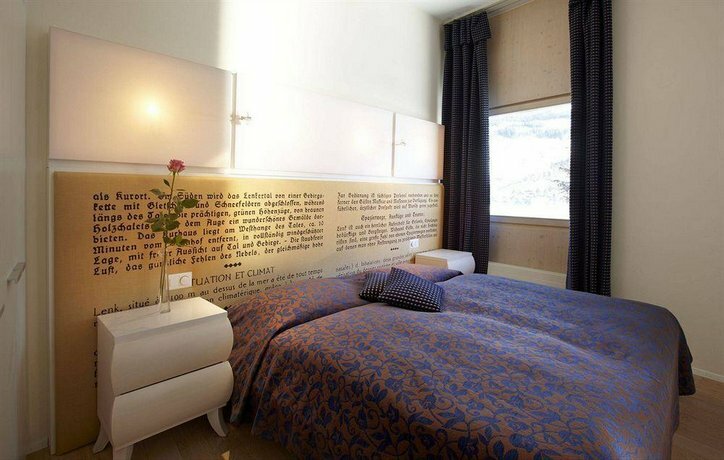 With a sauna and steam room as well as laundry facilities, Chalet Runca has everything for an active vacation. The accommodation itself is beautiful, with individual rooms being spacious and well equipped, providing the comfortable, easy going atmosphere that fits perfectly with après-ski life. Continuing that laid back ambience, the garden area is perfect from relaxing in the sun, providing well-groomed accommodation for all. This really is a special place for a group vacation, bring the relaxed vibe of the slopes back to your chalet. 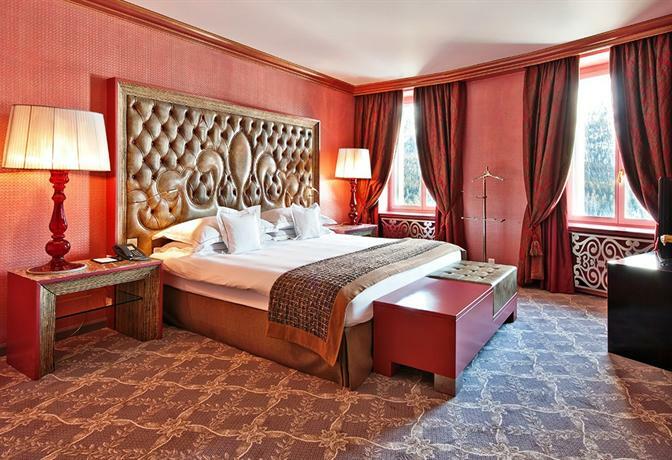 Located within its own park at the heart of Gstaad, and conveniently placed for the designer stores if you want a break from the slopes, the hotel has served visitors to the region for over a hundred years. 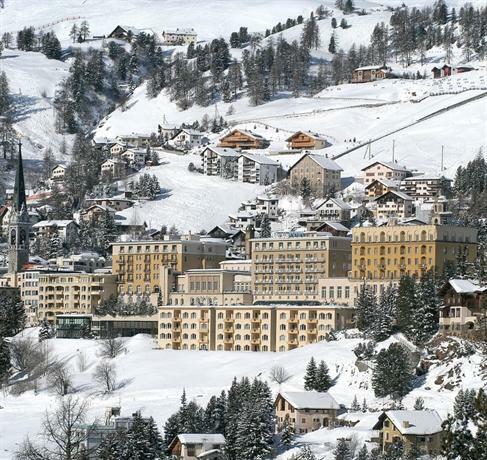 The ski lifts are within a short walk of the hotel. It is an impressive building, with a grand entrance that reflects the heyday of the early 20th century architecture. Inside, the entire hotel feels like a large country house rather than a hotel, with bespoke furniture and eclectic approach to décor, including a life-size camel made from tweed in the lobby! It gives it a home from home feel, but a home of outstanding quality and standards. Inside there are 57 rooms, all are incredibly spacious, although the décor is a bit more restrained than that found in the public spaces, nevertheless everything is quality and it makes for a very comfortable place to spend time. 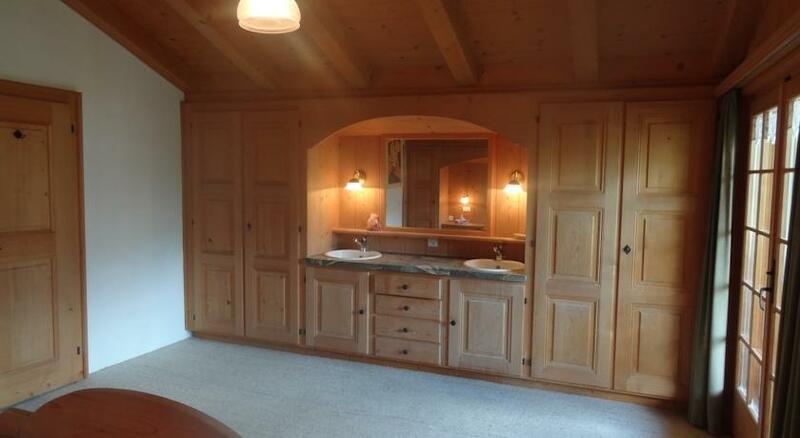 Feather beds and beautiful bathrooms are a particular highlight. There are three restaurants to choose from, including a sushi bar, a fondue chalet, and Leonard’s, a Michelin starred restaurant set in glamorous surroundings and offering exceptional food. Service is excellent throughout your stay, and the less formal ambience makes this a relaxing hotel to spend time. Arriving at the Alpina is breathtaking, you approach down a long driveway and are faced with a building that looks like the old castles you often see in the region, but is not. It is in fact very modern, and blends the outline of a castle, with towers and spires, and modern construction and visuals, large windows and plenty of wood. Set against a backdrop of the rolling green hills, it really is as spectacular a hotel as it is possible to find in the country. Inside, the hotel is classically elegant, using genuine period pieces everywhere, coupled with low key contemporary design, and like the exterior, this blend of modern and traditional creates something unique, and very special indeed. In terms of opulence it matches the very best, although not as ostentatious as some, the results are incredibly effective. Whichever of the 56 rooms you use, that same level of service and luxury is yours. A choice of restaurants is expected, but a choice of Michelin starred restaurants? You don’t often get that, but here you do. Both the Sommet and the Japanese inspired Megu have one star, while there is also Stubli, the fondue focused, more informal eatery rounding out your dining choices. The six senses spa offers a complete detox program and exceptional service is provided in all aspects of the hotel. A magnificent, modern hotel, it sets new standards. A luxury hotel with a remarkable history, sitting on the slopes of St Moritz this magnificent building looks every inch the grand hotel it has always been since first opening in 1856. Grand in every way the hotel has been expanded over the years and now spans 3 buildings, including the recently opened spa. The décor throughout is restrained, with desaturated colors and a Belle Époque style that fits the building well. Use of beautiful wood from the region is prolific, and provides a warmth to the hotel that is very welcoming. With 173 rooms, there are a variety of different styles on offer, 13 different categories in total, but all offer space and luxury in abundance. 5 restaurants provide the dining options, from a traditional Italian pizzeria to Le Grande Restaurant, the formal dining offering with exceptional food and service. In fact, service is excellent everywhere in the hotel, especially in the new spa, opened in 2012. Here you will find a relaxing experience that is probably the finest spa experience in ST Moritz today. Right on the lake, this wonderful timber and stone hotel looks every inch the picture perfect Swiss Chalet style destination. Beautiful views surround the Hostellerie am Schwarzsee, while the all-important ski lifts and shopping are within an easy walk. Greeted with efficiency and style, the service on offer is always nothing less than first class, and in conjunction with the amazing surroundings, really makes the stay here special. Beautifully decorated and spacious, the rooms provide the perfect place to rest after a day on the slopes, or simply chill out and recover from your spa experience. The spa itself has everything, an indoor pool, 3 saunas, a steam bath and a solarium, as well as massage therapy and beauty treatments galore. With 3 restaurants, including a formal dining area and a pizzeria, as well as a bar for lighter snacks, dining choice is wide, with all food being excellent and service once again exceptional. Overall this is a perfectly placed hotel that offers luxury and service that make the trip special. 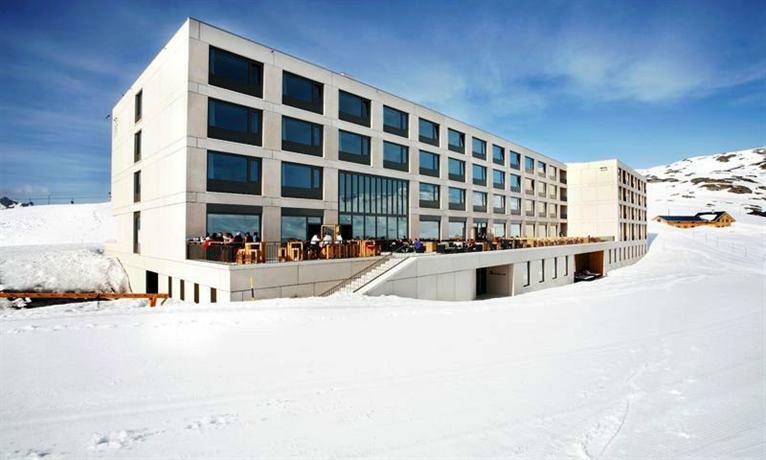 Set on the plateau of Melchsee-Frutt, with views stretching out over the lake to the mountains beyond, at 920m above sea level this is the highest luxury lakeside hotel in Europe. A modern but elegant building, the 67 rooms and suites are designed to make maximum use of the location, not only of the lake itself, but of the incredibly clear view of the night sky the altitude provides. It is always beautiful, day or night, at the Frutt Lodge and Spa. In contrast to the modern exterior, the interior of the hotel and the rooms themselves use a classic lodge style, with natural materials, especially the warm colors of the wood, combined with stylish details and quality fabrics, creating a luxurious and welcoming environment for your stay. There is a choice of two restaurants as well as a bar for lighter snacks, all providing high-quality food and excellent service throughout. In addition, the hotel has an amazing spa facility on offer, with a steam bath, sauna, spa bath and a variety of high quality treatments to truly relax the mind and body. High up in the mountains, this hotel is a unique place to visit and offers some of the best service out there. Sitting underneath the magnificent trees that snake their way up the mountain sides, this imposing building manages to retain the charm of a traditional chalet through clever use of materials and colors. Inside everything is very contemporary, with dark woods and splashes of color, reds, burgundies and browns, creating a hotel that feels like a city loft. With 5 restaurants, you have a choice of formal or more relaxed dining, and while menus and atmosphere vary, the quality of food is consistently high. The highlight is Spettacolo, offering a truly exceptional menu that must be experienced. As with many hotels in the region a spa is central to the additional features available for guests. Here there are pools, saunas, health and beauty treatments and expert tuition on offer, and it is a very relaxing place to be. A hotel that offers truly spectacular surroundings and first rate service.